The State of Idaho and Idaho Freemasonry lost a good man yesterday. He passed away, just one day shy of his 86th birthday, from complications stemming from his lung cancer. 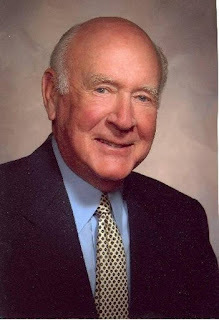 For those not familiar with Cecil Andrus, he was the youngest serving state Senator at the time, the longest serving Governor in Idaho’s history and the 11th longest-serving governor in US history (the first four-term governor), Secretary of Interior for President Carter, and the last Democrat to be Governor in strongly Republican controlled Idaho. Andrus was born on August 25, 1931, in Hood River, OR, and received a degree in Engineering from Oregon State University. Cecil Andrus served in the United States Navy Reserve from 1951 to 1955. He moved to Orofino, ID, in 1966 and immediately got involved into politics. At the age of 28, Andrus ran for state Senate to bring about improvements he saw as necessary in the state’s education system. He won that race becoming the youngest serving state Senator in Idaho history. He won re-election in 1962 and 1964. He ran for Governor in the Democratic primary but lost to Charles Herndon (a Brother Mason). However, Herndon died in a plane crash just 7-weeks before the November election. Andrus was placed on the ballot to take Herndon’s place, but lost to the Republican candidate. He returned to the Senate the next term to, again, represent a district from northern Idaho. “Rosalynn and I join thousand across our nation in mourning the passing of Cecil Andrus, a friend from the time we served together as governors. Cece was the only person I considered for the cabinet post of secretary of the interior, and together we made conservation history with the successful passage of the Alaska lands legislation, which doubled the size of the National Parks, established large additions to the National Wildlife Refuge System, designated new wild and scenic rivers and protected for future generations entire ecosystems such as the Gates of the Arctic. "If the decision were left to Idahoans, I don’t believe we would ever permit the state to effectively become a high-level nuclear waste disposal site, but the sad reality is that through neglect and incompetence, the federal government has essentially created just such a site in Idaho. Our children will likely be living with that reality long after many of us are gone." Despite a controversial veto, he won re-election for the fourth and final time (winning all counties except two). The last term was marked by his lawsuit against the Army Corps of Engineers in hopes to force them to modify their dams for fish conservation purposes. Due to his strong stance on conservationism, a wildlife preservation area near Cambridge, ID, was named “Cecil D. Andrus Wildlife Management Area”. In 1995, Andrus founded the Andrus Center for Public Policy at Boise State University, and in 1998, published his memoir, Politics Western Style. There is also an elementary school in western Boise named after him. Andrus received the Church Award for Public Service in 2014. Andrus continued to stay active in politics and campaigning for the Idaho Democratic Party, even introducing Barack Obama when he was running for President in 2008. While he was a lifelong Democrat he also took part in many non-partisan endeavors and events. I had the pleasure of meeting this Brother on several occasions. The last time was during the meal at the inauguration of the Idaho Policy Institute last October. He was true to his regular-guy attitude, even when he was governor. As a Mason, he was initiated as an Entered Apprentice Mason on February 24, 1960, passed to the degree of Fellowcraft on September 28, 1960, and raised to the sublime degree of Master Mason on June 14, 1961, in Orofino Lodge No.69. Orofino Lodge consolidated with Kamiah Lodge No.56 in February of 1992. He then affiliated with Idaho Lodge No.1 on May 12, 1993. He served the Grand Lodge AF&AM of Idaho as the 1971-1972 Grand Chaplain. He was awarded Fifty Year Membership in Idaho Lodge No.1 in March of 2011. He was also a member of El Korah Shrine of Shriners International, Boise Chapter No.3 of Royal Arch Masons, Idaho Council No.1 of Cryptic Masons, and Idaho Commandery No.1 of Knights Templar. While his funeral will be private, there will be a public lying in state ceremony from the 30th and 31st in the rotunda of the Idaho Capitol building. There is also a public memorial service at 2pm at the Jordan Ballroom at the Student Union Building at Boise State University. RIP Brother.